Looks after the NSS activities of the constituent and affiliated colleges. Conducts special camps and workshops on various things like Digital India, Vittiya Saksharata Abhiyaan, and training programmes for skill development. 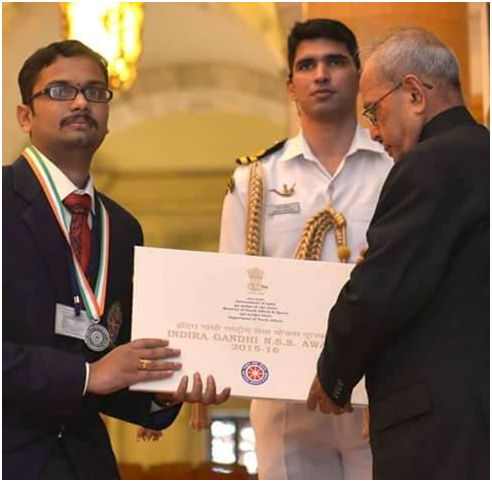 Prestigious Indira Gandhi NSS Best Volunteer award for the year 2015-16 presented by Hon'ble President of India to Mr. A. Uma Shankar Kumar, NSS Volunteer of Institute of Science & Technology, JNTUH at Rashtrapathi Bhavan, New Delhi on 19th Nov, 2016. He Stood 2nd in the Nation. 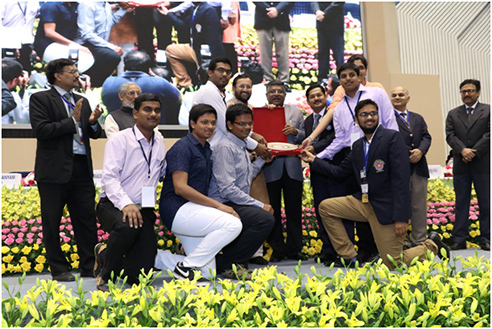 Presentation of award to Dr. P. Sammulal NSS program coordinator, JNTUH and NSS volunteers of JNTUH at Viganan Bhavan, New Delhi.